Almost every person experience anxiety at least once in his or her lifetime. According to the Anxiety and Depression Association of America (ADAA), it is the typical reaction to stress. People worry, think more than usual and experience physiological changes during times of stress. It signifies an impending threat. Anxiety is like fear or fever. It tells you that either something is wrong or something might go wrong shortly. It is a warning system our brain and body have worked up for keeping us alert. Temporary phases of anxiety, like the kind we feel before a big interview or before an important exam, are familiar and even welcome as they keep us snappy. We should be worried about persistent phases of anxiety that last long. Over 40 million Americans suffer from various chronic sleep disorders and about 20 million more occasionally report problems with sleeping. According to the National Institute of Health, sleep disorders are common among men and women and even children. 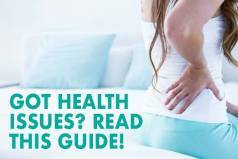 The lack of proper rest at night results in severe health problems that include compromised immunity, chronic pain, frequent headaches, irritability, etc. The impacts of poor quality sleep on our mental health can be profound. Habitual sleepwalking, bruxism, sleep talking and sleep apnea can cause and worsen anxiety disorders in people. What Came First – The Anxiety or Sleep Issues? How to Manage Anxiety and Improve Sleep on Your Own? What Are the Health Risks of Chronic Anxiety? What Are the Available Treatments for Anxiety? What Is CBT? How Does It Help With Anxiety Related Behavior? What Is a Residential Treatment for Anxiety? Who May Need It? What Are the Complementary and Alternative Treatments for Anxiety? What Is a Transcranial Magnetic Stimulation (TMS)? What Else should You Know about Anxiety? It is easy to say that anxiety disorders are chronic reactions to stress. Some experts classify them as mental illnesses. When someone classifies anxiety as a mental health issue, it becomes easy to view the symptoms and signs. However, everything we do or don’t do during the day can contribute to our anxiety problems. Right now, almost 18% adults over the age of 18 in the United States experience some form of anxiety. Most of these issues take a hefty toll on the sleep quality, and the lack of quality rest exacerbates the symptoms of anxiety. As a result, it might be wrong to term anxiety disorder as an autonomous mental health problem. Modern physicians, sleep specialists, and psychiatrists call it a co-morbid disorder. Sleep anxiety and its effects go hand-in-hand. They do not usually occur alone. You must have already noticed that it is difficult to fall asleep when you are worried. Anxiety feeds insomnia. When you stay up late, you cannot help but worry about missing the alarm or train to work the next day. Hence, insomnia feeds anxiety. It is a double-edged sword that demands expert attention before it affects your sleep, daytime productivity and your mental health. Regardless of which one you encounter first, you need to ask for help to deal with both. Medical professionals and psychologists have been trying for years to ideally diagnose and classify anxiety disorders. Different types usually have different causes, triggers, and specific treatments. Going to the roots of the problem is the only way to eliminate it. All disorders that do not fall under the following four categories are generalized anxiety disorders. The average age for the onset of panic disorder is about 22-23. Due to the acute symptoms, people often think they are having a heart attack. Phobia is the intense fear of specific situations or objects. Some people fear social interactions. Some fear darkness and some fear dogs. The cause is not always apparent, but the fear people feel is not proportional to the actual danger. Even selective mutism is a form of anxiety disorder common among children under the age of 5. People with specific phobias usually avoid the object and situation, sometimes at personal expense. When they have to face these objects or situations, they feel intense anxiety. They suffer from excessive anxiety about coming across the object or instance of their phobia(s). Psychology considers OCD as an anxiety disorder. It causes unwanted thoughts and repeated behavior. It might be something as simple as locking the door twice before leaving the house or something as elaborate as going through the house seven times before heading out to the office each day. Cleaning the same objects over and over again. PTSD usually occurs after the exposure to a traumatizing or terrifying event. Soldiers returning from war, survivors of near-fatal accidents and people escaping any threat of physical harm can experience PTSD. The onset might not be immediate. Sometimes, it takes weeks and sometimes even months for PTSD to wreak havoc on physical and mental health of a person. Even a lousy relationship, human-made calamities, and natural disasters can cause PTSD. It is a severe disorder that can take a toll on both mental and physical health, social interactions, family life and productivity. If you know anyone experiencing PTSD, you should urge them to get professional help. When the anxiety disorder sets in we often experience sleep-related issues like insomnia, inability to fall asleep quickly and poor rest. Interestingly, most of us do not realize which one begins first. It is true that anxiety and sleep disorders are comorbid, but the psychological distress keeps us from discerning the exact beginning of the problem and its cause. Sleep anxiety shares a bidirectional relationship. It is true that in your case either one could have occurred first and paved the way for the other. However, they facilitate each other’s persistence. Sleep problems including parasomnia and insomnia can cause anxiety. This anxiety can disrupt your sleep. Moreover, both have almost identical effects on the quality of life. For example, how much rest you get determines your productivity and ability to make clear decisions throughout the day, and it also influences your emotional health. Anxiety does the same. It influences your decision making, cognition, and emotional status. Experts are curious to find out what is the stimulus what is the result. Nonetheless, in most cases, they have to address the problems together. You can’t seek medical attention for one issue and hope that the other one will disappear on its own. A combination of these increase the risks of accidents, mishaps while handling heavy machinery, heart attacks, hypertension, metabolic disorders, and diabetes. You need to think about the long-term effects of anxiety and sleep on your life. Commit to exercise – You need to work out in the morning or the early evening. Exercising will help you manage your metabolism and wake up easier in the morning. But, you should avoid working out right before sleep as that will drive your sleep away. Instead, you can try aromatherapy and meditation for better sleep. Exercising in the morning will improve your circadian cycle, give you more energy and make you feel rested during the day while it will also help you fall asleep faster at night. Customize your immediate environment – You should pay more attention to controlling the sound, light, and temperature of your bedroom. Eliminating blue light, harsh lighting and sources of loud noises stimulates better sleep. Sometimes, it is necessary to vacuum the room once a week, especially if you have pets. Sprinkle relaxing essential oils like lavender or frankincense all over your bedroom. Keep the temperature and humidity at a level that will not cause you to sweat. You can also try taking a warm shower before bedtime as it will relax your muscles. Focus on calmness – Meditation and yoga can help you calm down and relax. Meditating even ten minutes per day will help you breathe easier, relax more and rest well. These calming exercises will help you fall asleep much faster during the night. Ban caffeine, nicotine, and alcohol – Alcohol quickly knocks out people, but not in a positive and restful way. The sleep that alcohol can put you into is not restorative sleep and it does little to reduce anxiety symptoms. In fact, alcoholics suffer from worse panic attacks as their tolerance to alcohol and addiction grow. Caffeine is not the solution to keep you awake during the late afternoons. You should limit both caffeine and nicotine as they act like nervous system stimulants. Drinking one or two cups of coffee in the morning is okay, but always drink the last cup before sundown. Limiting caffeine, alcohol, and nicotine intake will help you enjoy good quality sleep. Reduce your exposure to blue light – Scientists have been pointing to the harmful of digital screens for years. The intense blue light from the screens breaks down the melatonin deposit and wreaks havoc on our circadian clock. While working on the laptop and browsing the web on your phone is alright during the daytime, you should reduce your exposure to blue light before bedtime. You can set a reminder for shutting off the TV, laptop, tablet and your phone at a fixed time every day. If taking calls and responding to messages is important for your job consider getting a blue light filter for your phone and setting a low ringtone for the nighttime. 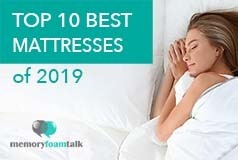 Check out our top 10 mattress reviews and pick a mattress that can help you deal with your sleep anxiety. These are the primary control methods for anxiety disorders and sleep disorders that can help you control the effects. However, they cannot replace a professional help one might need to successfully combat chronic anxiety and insomnia. Chronic anxiety disorders stimulate the brain to release stress hormones. These hormones are responsible for intense headaches, lightheadedness, queasiness, stomach disorders, and depression. Stress and worry flood your body with adrenaline and cortisol. These increase the burden on the heart muscles, increase blood sugar levels, fat deposits, carbohydrate craving, etc. The release of these hormones also reduces libido and suppresses immunity in the long-term. These hormones might be helpful for dealing with certain situations, but constant exposure to high levels of these hormones can cause the build-up of lactic acid in the muscles, chronic joint pain, feeling of breathlessness and gaining weight. The heart takes a lot of stress due to anxiety disorders. They increase palpitations, which means the heart muscles contract and relax faster than normally. People with preexisting heart conditions or predisposition to coronary diseases face a constant threat from recurring anxiety attacks. Anxiety can affect your excretory system as well. When we are in a fight-or-flight situation, our muscles tighten, including the sphincter muscles. It can lead to incontinence in the old age. 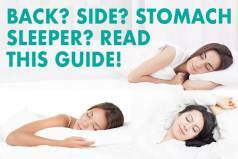 Persisting AD and sleep problems lead to irritable bowel syndrome. IBS can cause diarrhea, constipation and intermittent vomiting. Your digestive system usually responds to constant stress with nausea, stomach aches, diarrhea, loss of appetite, acid reflux and ulceration. The effect of anxiety and sleep disorders can be quite severe on the immune system. High levels of cortisol can suppress the immunity temporarily. Stressful situations can lead to increased energy expenditure, which can compromise your immunity for common pathogens. Viral infections are common among those suffering from chronic anxiety. Anxiety increases your breathing rate. COPD patients face high risks of complications and even require hospitalization from anxiety onsets. It also affects those with seasonal or chronic asthma. Social isolation, depression, and muscle fatigue are other effects of anxiety. Long-term anxiety disorders can exact a heavy price on your life and the lives of your loved ones. Seek professional help if your anxiety attacks recur frequently and cause chronic insomnia. Since the causes of AD and the manifestation of the disease can be complicated, finding the help one needs can be tricky as well. Most general physicians are not specially trained to treat PTSD, OCD or GAD. Addressing any of these requires at least a minimum qualification and training in psychiatry or psychology. Apart from psychiatrists and psychologists, you should also visit your local therapists, counselors and social workers for immediate help. Most professionals prescribe two different kinds of medicines for the treatment of anxiety – antidepressants and anti-anxiety drugs. The anti-anxiety medications are aka anxiolytics since they can get rid of anxiety and related symptoms. Overcoming anxiety with drugs alone is neither recommended nor possible. CBT and psychotherapy are often necessary to complement the effects of the medication. Most drugs that can treat PTSD, OCD and generalized anxiety disorders are cheap and affordable. CBT or Cognitive Behavioral Therapy is appropriate for the treatment of anxiety and related issues. It focuses on eliminating unhealthy thinking and behavior patterns with extensive talking. You will need a trained therapist to experience all benefits of CBT. CBT will help you develop coping mechanisms for your attacks and change your thought patterns by altering your breathing, introducing new physical mobility workouts, and relaxation techniques. By the end of CBT, patients usually acquire the skills necessary to combat anxiety disorders and their symptoms for the rest of their life. CBT can help with managing social anxiety as well and has several variants, including exposure therapy. It addresses OCD and specific phobias quite effectively. A residential treatment center or a rehab provides a wide range of different therapies. It is a healthcare facility that has the equipment and experts to approach all patients suffering from various mental illnesses in the right way and provide them with the help they need. While most rehabilitation facilities cater to people recovering from substance abuse, there are a specialized few that address the needs of those suffering from anxiety and sleep disorders. Those suffering from sleep disorders as a result of chronic depression or PTSD may consider a residential treatment center for long-term relief. There are several online support groups for those suffering from depression and anxiety. You might want to try CBT and medication before checking into a residential therapy center. Over the years, people have become more interested in complementary and alternative medicines (CAM) for the treatment of psychological disorders. Even depression, anxiety and sleep disorders have CAM options. Ideally, doctors and psychotherapists prescribe CAM with traditional medication. Alternative treatment can include a special diet, specialized exercises and natural remedies instead of relying on psychoactive drugs entirely. Sometimes, a modification of the home environment can have a profound impact on the condition of the patient along with the regular consumption of the prescribed medications. Relaxation techniques, mindfulness meditation, yoga, and acupuncture are all forms of alternative therapy for depression and anxiety. Transcranial magnetic stimulation or TMS is the process psychiatrists recommend when medications and other CBT methods have failed to alleviate the symptoms of anxiety and depression. TMS is a safe and non-invasive procedure that involves the stimulation of a specific part of the brain by introducing a small electric current. The contraption for TMS uses an electromagnetic coil that creates a magnetic field around the forehead to deliver the pulses to the specific region of the brain. It is a simple process that does not require anesthesia. It does not lead to the loss of consciousness or seizures. People suffering from chronic depression and resulting anxiety disorders often resort to TMS therapy. Repetitive transcranial magnetic stimulation (rTMS) – This process needs a magnet to stimulate certain parts of the brain. The stimulation activates the region, and it is highly specific. It can potentially reduce the incidences of panic attacks, depressive episodes and treat several other mental disorders in long-term. Deep transcranial magnetic stimulation (dTMS) – dTMS is one of the latest modifications of the traditional TMS method. It can reach the deep regions of the brain and stimulate larger portions. This outpatient procedure does not require sedation, and it does not result in short-term amnesia. Trans-cranial magnetic stimulation does sound like a promising treatment for depression and anxiety disorders, but since it involves treating an intricate organ like the brain, you should always consider other options like medication, behavior therapy and psychotherapy before opting for TMS. Always talk to your physician and psychiatrist before agreeing to undergo any form of TMS. Anxiety disorder is more common than you are ready to believe. The percentage of people who suffer from anxiety exceeds the percentage of people who have subscribed to Netflix in 2015. Every year doctors diagnose over 21% of adults between the ages of 18 and 65 with one form of anxiety disorder or another. Anxiety does not involve excessive worrying only. It often includes intricate behavioral “quirks” that can range from Sheldon Cooper to Adrian Monk! Sometimes, people with obsessive compulsive disorders come across as “neat freaks” or annoyingly fastidious. However, they suffer from an anxiety related issue where repeating specific tasks for a particular number of times brings them a moment’s relief. Age, gender and social status do not restrict anxiety and even toddlers can suffer from it. Defining anxiety is difficult due to its heterogeneity in cause, symptoms, and diagnosis. Two people sharing the same diagnosis can have different symptoms that can make their treatments completely different. So, anyone can suffer from anxiety. Although very few will view breathlessness, suffocation, nausea, headache and palpitation as signs of weakness, anxiety is anything but weakness. It is your mind trying to warn you about an imminent threat that usually is not there. When you are experiencing an episode of anxiety attack or a panic attack, instead of shutting yourself off in your room, drawing the curtains and putting on loud music, you should try to speak with someone who cares. Call a helpline number if you can’t think of anyone you trust. You might want to engage in something physical. Swim, climb the stairs, do ten jumping jacks or simply go for a walk. Let your body use some pent-up energy. A light physical workout will bring your breathing back to normal and restore your normal heart rate. Mental health is just as important as physical health. People with mental health issues including anxiety find it challenging to ask for help since the causes of their distress are not always apparent. When a person complains of overwhelming fatigue, sudden shortness of breath, the fear of dying, constant edginess, the inability to relax, continuous exhaustion or sudden onset of fear, even the best doctors are sometimes unable to find the real cause for these. People have the habit of dismissing symptoms as imaginary quirks when the tests show no conclusive results. Most mental health issues do not have definitive tests. As a result, anxiety and resulting sleep issues remain social stigmas. You need to speak up for yourself or anyone else with similar challenges in their lives. Get the help of a psychologist or a psychiatrist if you experience these symptoms. Anxiety and sleep disorders have physiological manifestations and you need to treat and control them.